How to get Crime Tokens in Marvel’s Spider-Man on PS4? How to take photos in Marvel's Spider-Man on PS4? Crime Tokens are among the resources required for crafting new suits and gadgets for Spider-Man. 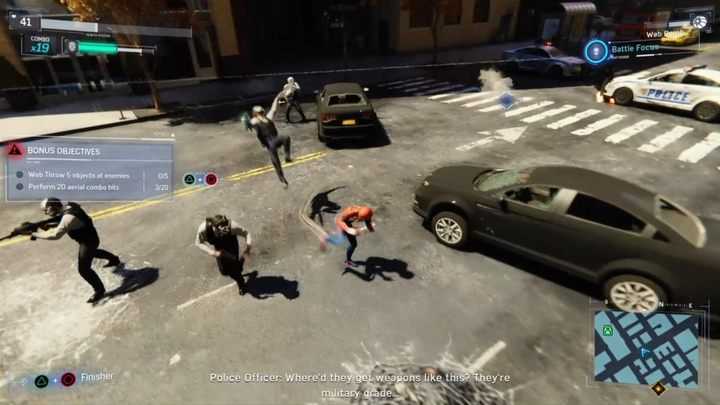 In Marvel's Spider-Man you will sometimes encounter crimes - they are a part of the game's side activities. The criminals will plan all sorts of heists and crimes in the entire city. Crime Tokens are among the resources required for crafting new suits and gadgets for Spider-Man. 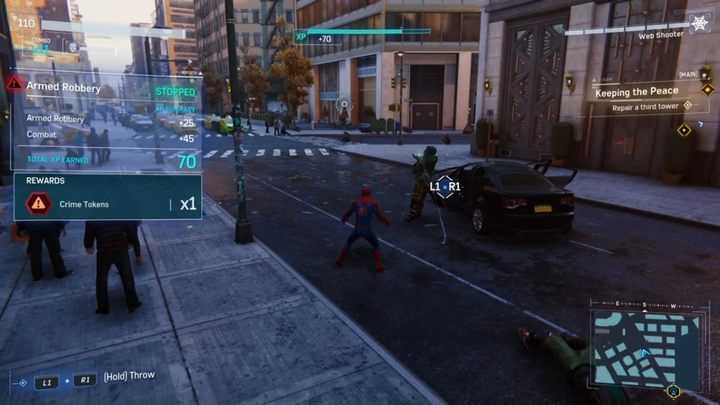 In Marvel’s Spider-Man you will sometimes encounter crimes – they are a part of the game’s side activities. The criminals will plan all sorts of heists and crimes in the entire city. After finishing the game’s prologue, you will be able to tap into the police communications. This will let you learn about the nearest crimes – open the map and go to the red triangle. There, you will encounter a random crime. The game features quite a few of these; sometimes you have to fight criminals, other times chase them or save some civilians. Some crimes feature additional objectives – you have to, for example, perform a Web attack 10 times or stun a set number of enemies. Performing additional objectives is awarded with another token, so you should try to do at least one of every time you get the chance. It’s also worth noting that the number of crimes is Infinite and you can still find some, even if all the markers on the map have been cleared. On top of that, you don’t have to worry if you fail to complete one of these – after a while, a new crime will be available.